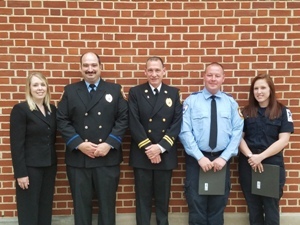 Pictured above from left to right: Megan Ruby (Emergency Services Health Federation), FF/EMT Ed Royer (CFD), Captain Tim Ebersole (CFD), Paramedic Seth Robinson (Fayetteville ALS), and Kasi Ball (Holy Spirit EMS); Abbey Rhone (Fayetteville ALS is not pictured but received award). 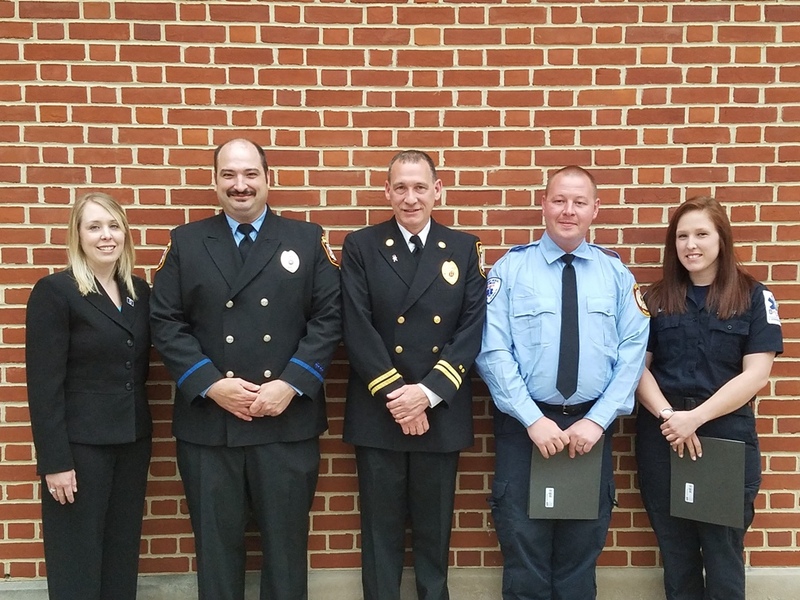 Crews from Chambersburg Fire Department, Holy Spirit EMS, and Fayetteville ALS were recognized for a Cardiac Save Award at the Borough of Chambersburg Council meeting. The efforts from all three of these organizations were put to the test on December 24, 2015 when a patient with a medical emergency ended up in cardiac arrest. High performance CPR and ALS interventions successfully revived the patient prior to the emergency room arrival. The patient was released from the hospital with no side effects from the event and is leading a normal life.